DURING the festive period there will be some changes to the collection days for your refuse, recycling and garden waste. In the Adur district and Worthing borough there will be no recycling and waste collections on Christmas Day (Friday December 25), Boxing Day (Saturday December 26), bank holiday Monday December 28, New Year’s Day (Friday January 1) or at the weekends. The council will also be taking all excess waste up to, and including, Friday, January 8. Non-food excess waste can be placed in bags or black sacks on the ground next to the bins. 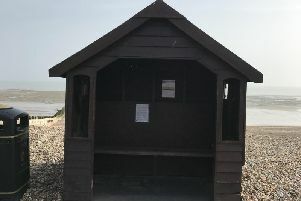 In the Arun district, collections over the Christmas period will not change unless your normal collection day is Friday, in which case it will be a day late. Therefore, Christmas Day (Friday December 25) will be collected on Boxing Day (Saturday December 26), and New Year’s Day (Friday January 1) will be collected on Saturday January 2. This arrangement covers household refuse, recycling, clinical waste and sharps collections. In the Horsham district, refuse for Christmas Day will be collected on Tuesday December 29. Those who have their refuse collected on Tuesday December 29 will be on Wednesday December 30; those on Wednesday December 30 will be collected on Thursday December 31; Thursday December 31 collections will take place on Saturday January 2; and Friday January 1 will be collected on Tuesday January 5. Additional collections of the blue-top bins have been organised to help Horsham district residents cope with any extra Christmas packaging. These will take place between Tuesday December 22 and Tuesday January 5 inclusive. Collections of the brown-top bins that are normally due within these dates are suspended, resuming again from Wednesday January 6. The collection crews will be working additional Saturdays in order to catch up. Garden waste collections will be the day after. All collections will be back to normal from Tuesday January 12.